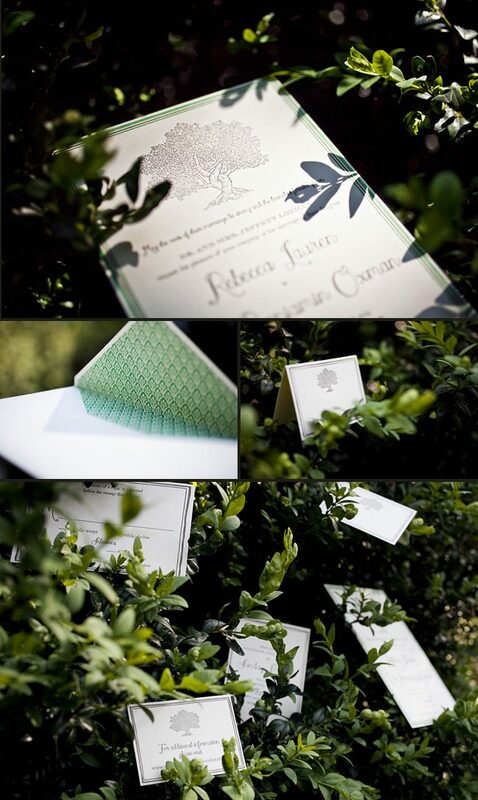 Now that we offer digital printing couples can use this method for their day-of wedding pieces. Our Chapman design was customized by Judy Paulen Designs with our Turquoise and Whisper digital inks for menus, programs and thank you cards! 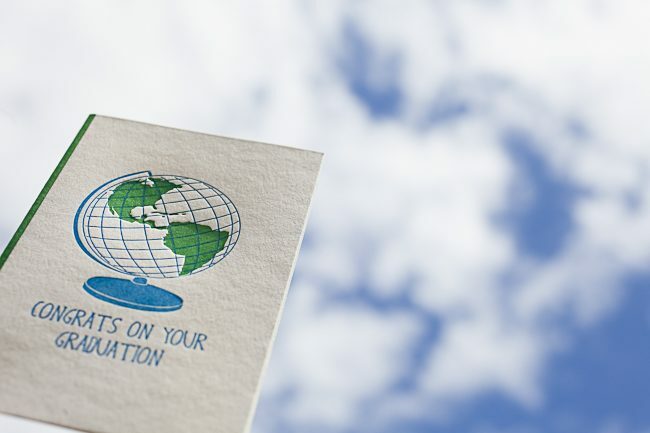 Our friends at Salutations in Charlotte, North Carolina sent along these adorable letterpress invitations for printing. 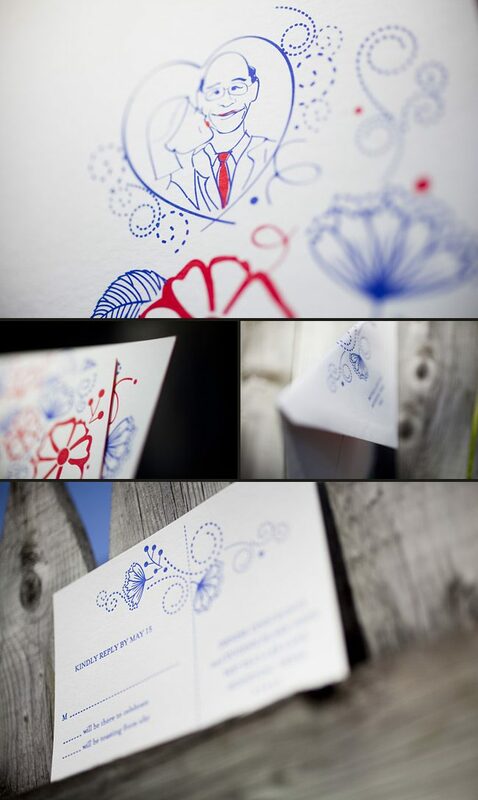 The couple submitted their own custom artwork to be printed on each piece in their suite. The pairing of our cherry and azure inks also makes a bold statement – and we definitely think their creativity shines through. Our good friends at Pearl Grant Richmans in Albany, New York submitted this exquisite letterpress suite to us for printing. The modernized font choices keep this set refreshing and the color combination of our espresso and grass inks looks absolutely beautiful. We had the joy of printing these GORGEOUS letterpress Bat Mitzvah invitations for our wonderful friends at PS Paper in San Anselmo, California. We don’t think this suite could really be any sweeter, the submitted hand calligraphy used for the Sydney’s name adds a nice whimsical touch and the soft color palette keeps this set appropriate for a young girl’s important celebration. 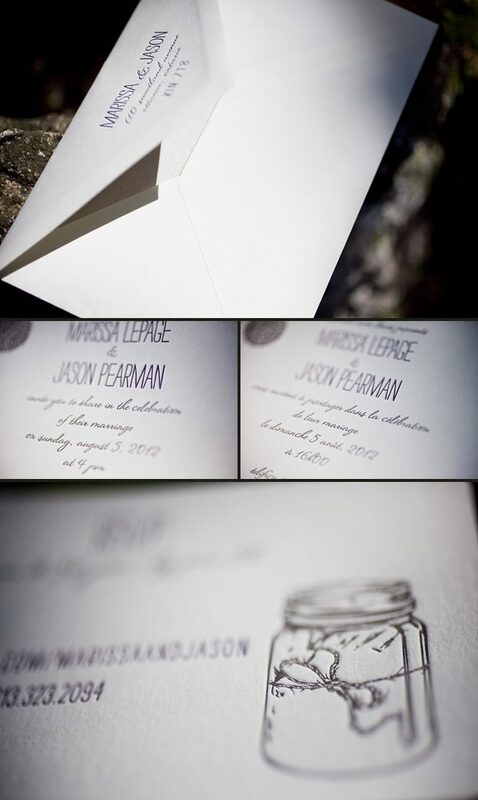 The frame on the invitation is inspired by our Dawson design – and helps maintain the contemporary vibe. This delicate and effervescent Dawson letterpress suite is one of the most beautiful customizations we’ve seen done to this design. Wedding invitations should truly set the tone for the big day and should convey the formality and feel of the upcoming nupitals. 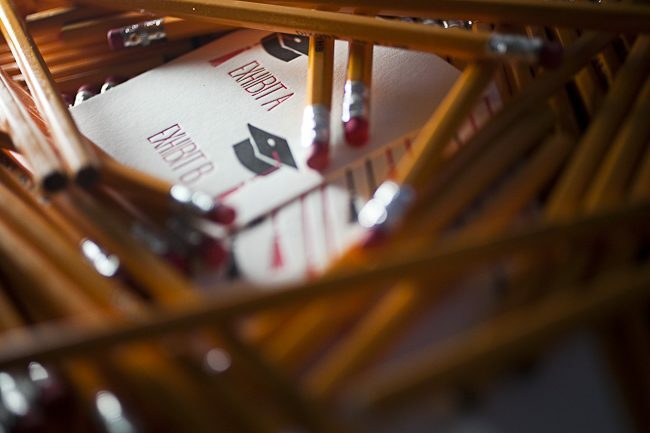 With that said we feel that this set is spot on – the inkless blind deboss creates the most perfect and refined backdrop. Silver and lavender, two more soft ink colors keep this suite traditional. Offset belly bands that include the couple’s initials inside a cartouche is a fabulous finishing touch! We’d like to give our thanks to our friends at Westwood Paper Company in Carmel, Indiana for sending us this charming set. 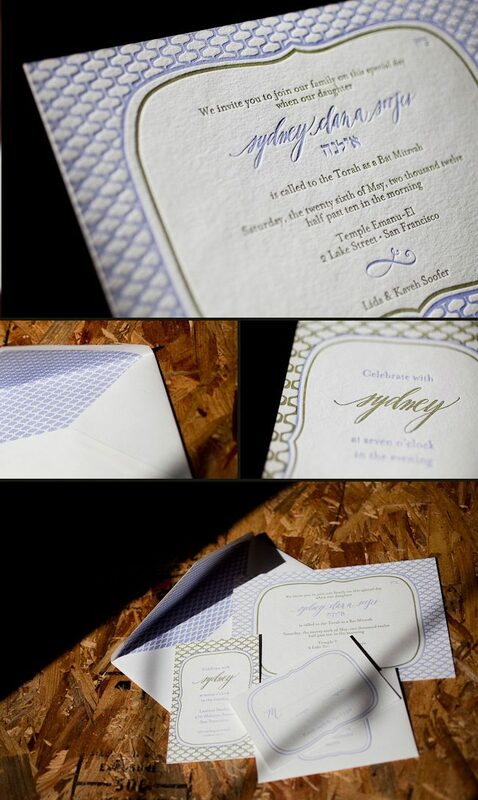 Here at Smock our Odin design is one of the invitations in particular that we get really excited about seeing customized and personalized. And we feel that our friend, Cheryl at Paper Studio in Ontario, Canada did a fabulous job dreaming up this Odin suite. Letterpressed in taupe and eggplant inks this bilingual set includes an English language invitation and a French language invitation. The back of each card is offset printed in our willoughby pattern in taupe, adding even more personality to this lively suite. The envelopes are lined in metallic camel providing a picture perfect contrast against their wedding colors. Since we introduced foil stamping to Smock this summer, we’ve been head-over-heels in love with the way it looks on our bamboo paper! 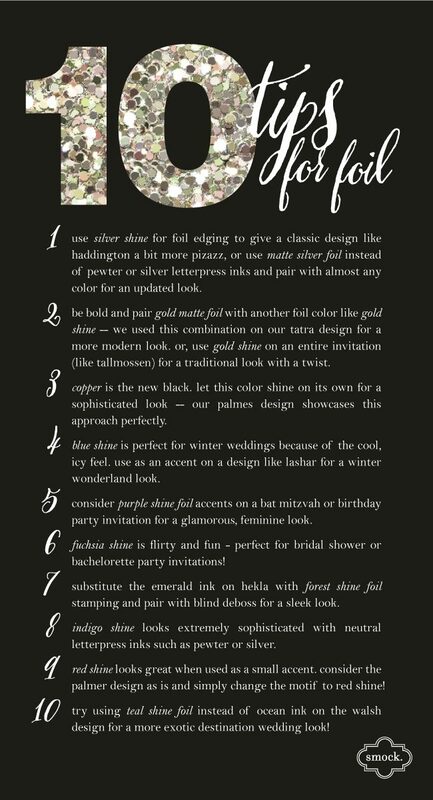 Foil is the perfect way to add a bit of sparkle and shine to any invitation, and since we offer 12 foil colors, there are lots of different ways you can use it! For color pairing ideas, tips on when to bring in a bright colored foil (like fuchsia!) and when to keep it classic with an essential like silver or gold, check out the list below for some inspiring ideas. Check out this letterpressed Breton suite submitted by our good friend, Laura at Rugg Road Paper Company in Boston, Massachusetts. 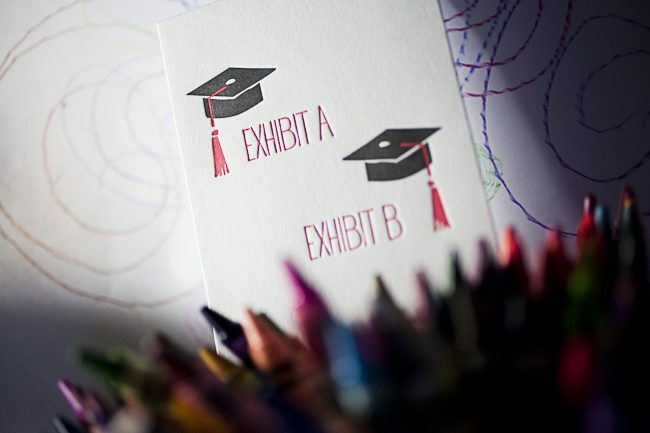 We’ve fallen for the warm color palette of saffron and merlot inks. The simplicity of this set is endearing and ever so sweet. 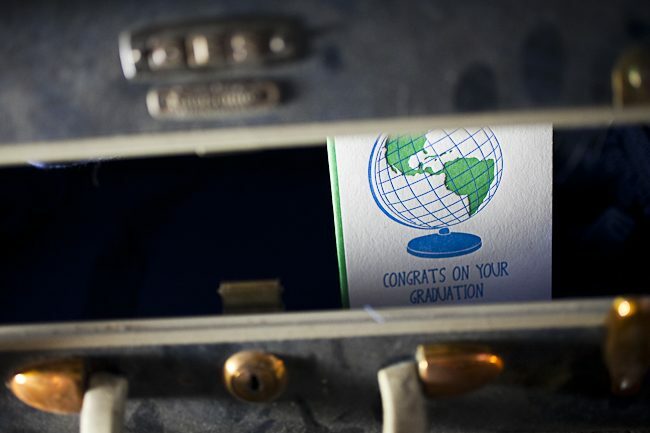 The two color border around the invitation creates a perfect frame and we love that this set doesn’t go overboard on design elements. And adding a custom offset liner printed in the same ink colors as the rest of the set adds even more of a romantic feel. 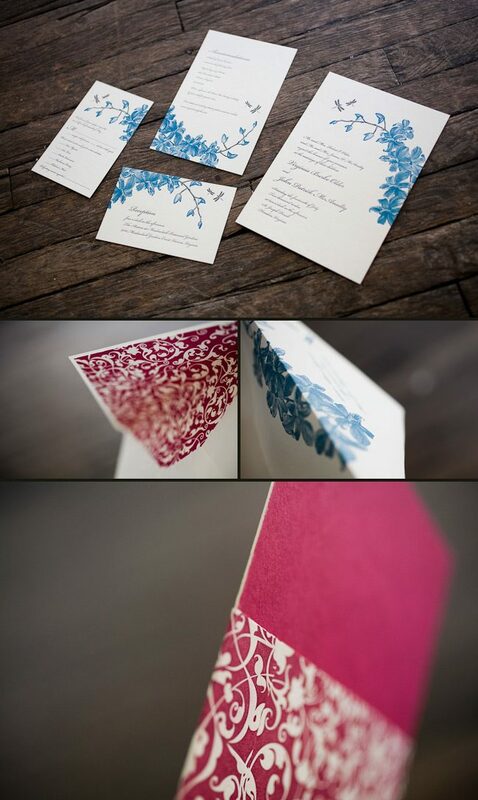 We’d like to thank our friends at The Dandelion Patch in Reston, Virginia for sending us this incredible, nature inspired letterpress suite. Pairing our luscious peacock and pewter inks looks stellar and oh so elegant! Our cameron font is used for all of the text keeping this set more on the formal side. Adding an offset belly band and envelope lining looks divine and maintains the classic feel. The attention to detail on the cascading flowers and flying dragonflies has us head over heels.